In this major reinterpretation of religion and society in India, Harjot Oberoi challenges earlier accounts of Sikhism, Hinduism and Islam as historically given categories encompassing well-demarcated units of religious identity. Through a searching examination of Sikh historical materials, he shows that early Sikh tradition was not concerned with establishing distinct religious boundaries. Most Sikhs recognized multiple identities grounded in local, regional, religious, and secular loyalties. Consequently, religious identities were highly blurred and several competing definitions of what constituted a Sikh were possible. In the closing decades of the nineteenth century, however, the Singh Sabha, a powerful new Sikh movement, began to view the multiplicity in Sikh identity with suspicion and hostility. Aided by social and cultural forces unleashed by the British Raj, the Singh Sabha sought to recast Sikh tradition and purge it of diversity. The ethnocentric logic of a new elite dissolved alternative ideals under the highly codified culture of modern Sikhism. A study of the process by which a pluralistic religious world view is replaced by a monolithic one, this important book calls into question basic assumptions about the efficacy of fundamentalist claims and the construction of all social and religious identities. 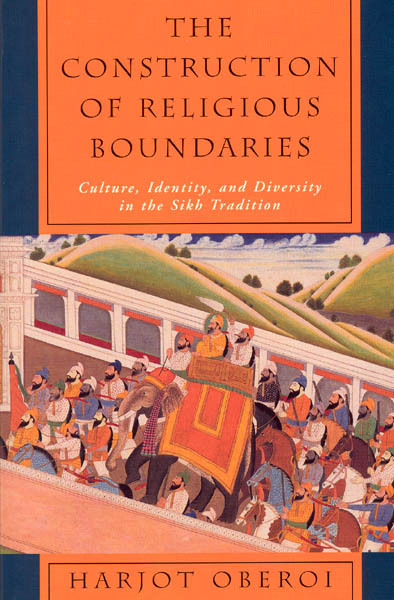 An essential book for the field of South Asian religions, this work is also an important contribution to cultural anthropology, postcolonial studies, and the history of religion in general.